The Financial Stability Board (FSB), an international body for global financial system, has placed India in the league of countries that are 'compliant or largely compliant' on implementation of priority area reforms. Ahead of the G20 Summit in Germany to be attended by Prime Minister Narendra Modi, among other world leaders, the FSB yesterday submitted its status report on progress in financial regulatory reforms in various jurisdictions, including India. The report listed India as a 'compliant' jurisdiction with regard to Basel III reforms in risk-based capital and as 'largely compliant' on liquidity coverage ratio. Other countries that have been found to be 'compliant or largely compliant' on these metrics include Argentina, Australia, Brazil, Canada, China, Hong Kong, Indonesia, Japan, Mexico, South Korea, Russia, Singapore, South Africa, Switzerland, Turkey and the US. At the same time, France, Germany, Italy, the Netherlands, Spain and the UK have been found to be 'materially non-compliant' on at least one parameter. With regard to the Net Stable Funding Ratio (NSFR), India figured among the countries where "final rule published but not in force, or draft regulation published". On compensation-related reforms, India is among the jurisdictions where "all except a few (three or less) FSB Principles and Standards implemented", as per the FSB report. On trade reporting in the over-the-counter derivatives market, India was among the countries where necessary regulatory framework was being implemented. On shadow banking, the FSB report named India among the jurisdictions where the final implementation measures are in force for valuation, liquidity management and stable net asset for monetary market funds while final adoption measures were taken for implementing an incentive alignment regime and disclosing requirements on securitisation. The FSB also said the jurisdictions that have not had an IMF-World Bank Financial Sector Assessment Programme (FSAP) in the last five years are undergoing one in 2017-19 and these countries include India. It further said the FSB examined progress in implementing G20 reforms in recent peer reviews of three EMDE (Emerging Market and Developing Economies) members -- Argentina, Brazil and India -- and has made recommendations to address identified gaps. 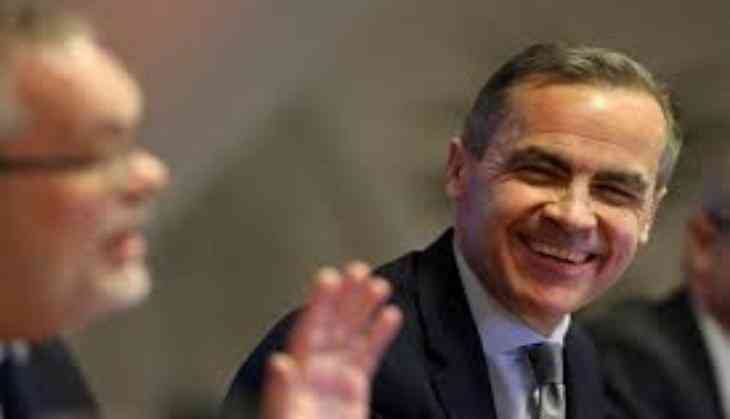 The report was submitted ahead of the G20 Summit in Hamburg on July 7-8 along with a letter from the FSB Chair Mark Carney to the G20 leaders. As per the letter, the G20 reforms are building a safer, simpler, fairer financial system and banks are considerably stronger, more liquid and more focused. "A series of measures are eliminating the toxic forms of shadow banking and transforming it into resilient market-based finance," it noted, while adding that a greater resilience is being achieved without impeding the supply of credit to the real economy. It also said some unfinished business to finalise and implement reforms merits attention. "Basel III must be completed urgently and then implemented faithfully... Further work is required to build effective cross-border resolution regimes and realise fully the benefits of trade reporting in improving transparency in OTC derivatives markets. "The underlying causes of misconduct are being addressed by bolstering individual responsibility, accountability and better aligning incentives and reward, but more needs to be done," it said. The report identified three areas where authorities need to remain vigilant -- maintaining an open and integrated global financial system, market liquidity and the effects of reforms on emerging market and developing economies. The FSB sought G20 leaders' support to reinforce global regulatory cooperation. The FSB also released a framework for post- implementation evaluation of the effects of the G20 financial regulatory reforms, developed in collaboration with the standard-setting bodies, and with input from external stakeholders and through public consultation. The framework will guide analyses of whether the G20 reforms are achieving their intended outcomes and help identify any material unintended consequences that may have to be addressed, without compromising on the objectives of the reforms.